Ganesh Chella has, in a career spanning over three decades, come to be acknowledged for his contributions as a practitioner and thought leader in the field of Organisation Development, Human Resources and Executive Coaching. 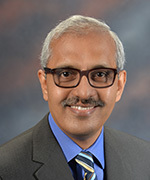 After a successful corporate career in Human Resources for 16 years, Ganesh founded totus consulting, a strategic HR consulting firm; Coaching Foundation India Limited, a pioneering institution for coaching and leadership development and totus HR School, an HR capability-building institute. He has authored the book Creating a Helping Organisation: 5 Engaging Ways to Promote Employee Performance, Growth & Wellbeing and co-authored the book Are You Ready for the Corner Office? He has a very large body of published articles and blogs to his credit. Ganesh is an alumnus of XLRI, Jamshedpur, a professional member of the India Society for Applied Behavioural Science and trained and certified as a Coach by Dr Skiffington, Australia and Coaching Foundation India.